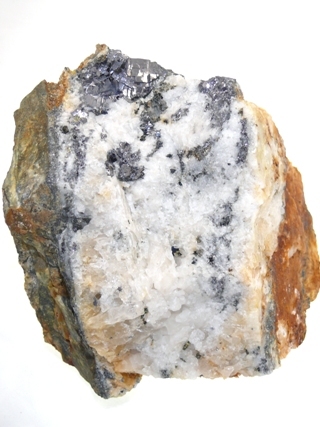 An attractive specimen of Galena from Greystones Quarry, Launceston. 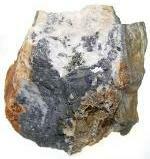 Galena is the most valued lead ore, and so it played its part in Cornwall's mining past. 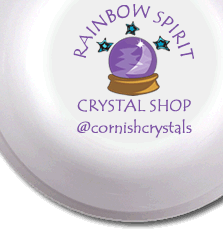 In Crystal Healing, it is used to support self-transformation, grounding the person to the extent of enabling perception of the depths of one's soul, accessing strength, power and responsibility for one's development.